This exercise uses PDAL to apply to clip data with polygon geometries. This exercise is an adaption of the PDAL tutorial. The autzen.laz file is a staple in PDAL and libLAS examples. We will use this file to demonstrate clipping points with a geometry. We’re going to clip out the stadium into a new LAS file. This VRT file is available in your workshop materials in the ./exercises/analysis/clipping/attributes.vrt file. You will need to open this file, go to line 4 and replace c:/Users/hobu/PDAL/ with the correct path for your machine. A GDAL or OGR VRT is a kind of “virtual” data source definition type that combines a definition of data and a processing operation into a single, readable data stream. The GeoJSON file does not have an externally-defined coordinate system, so we are explictly setting one with the LayerSRS parameter. If your data does have coordinate system information, you don’t need to do that. See the OGR VRT documentation for more details. This pipeline is available in your workshop materials in the ./exercises/analysis/clipping/clipping.json file. Remember to replace each of the three occurrences of c:/Users/Hobu/PDAL/ in this file with the correct location for your machine. autzen.laz is the LASzip file we will clip. 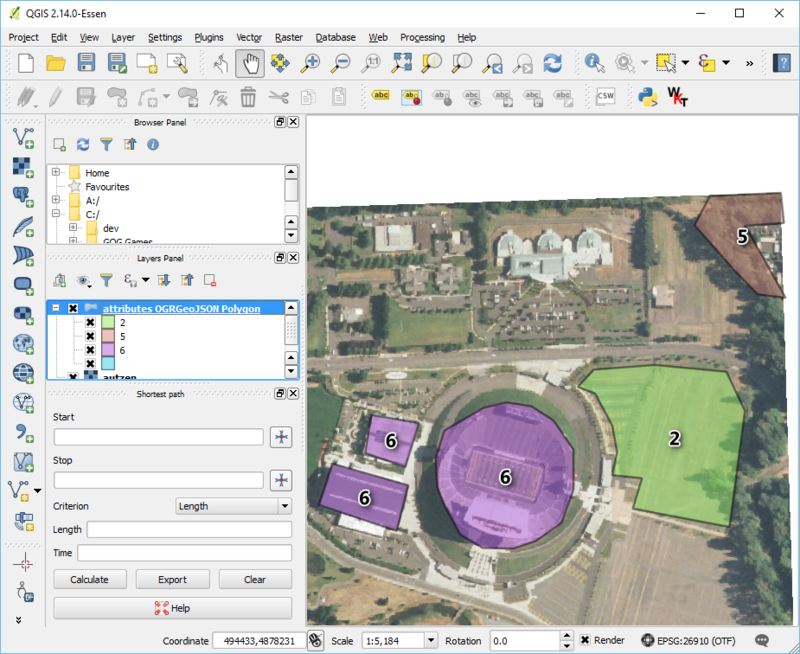 The filters.overlay filter allows you to assign values for coincident polygons. Using the VRT we defined in Data preparation, filters.overlay will assign the values from the CLS column to the Classification field. The attributes in the attributes.json file include polygons with values 2, 5, and 6. We will use filters.range to keep points with Classification values in the range of 6:6. We will write our content back out using a writers.las. 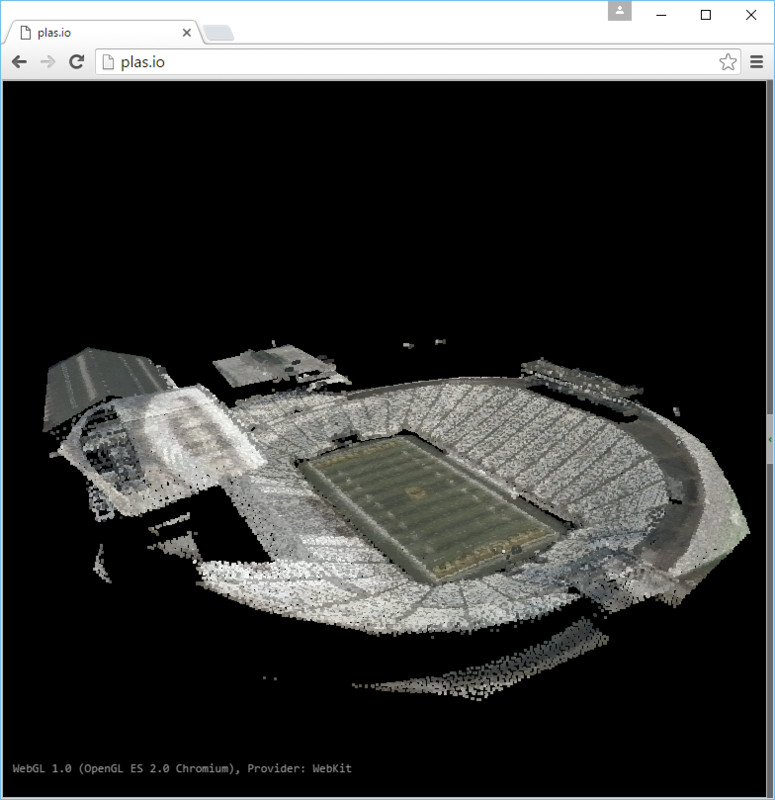 Use one of the point cloud visualization tools you installed to take a look at your c:/Users/Howard/PDAL/exercises/analysis/clipping/stadium.las output. In the example below, we opened the file to view it using the http://plas.io website. 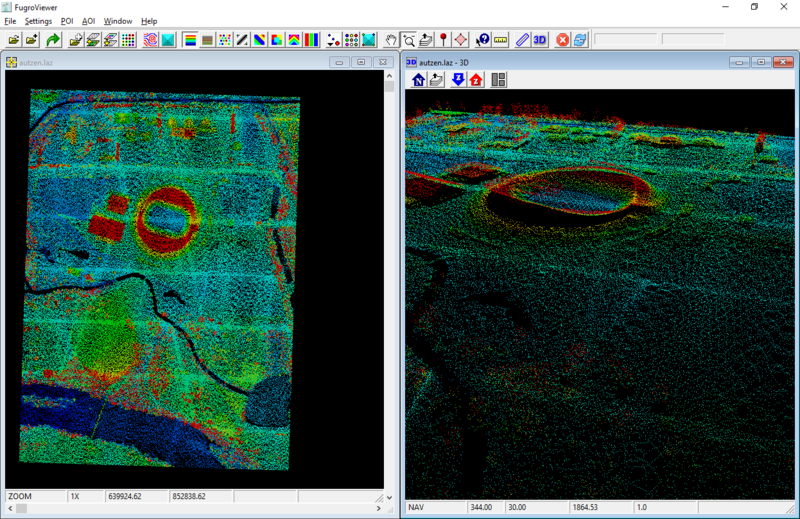 filters.overlay does point-in-polygon checks against every point that is read. Points that are on the boundary are included.